Here is something easy and fun urban farmers can do to celebrate Earth Day. It’s an easy process to start a celery plant from the bottom of the cut bunch of stalks. Using a celery bunch you purchase from the store simply cut the base of the bunch approximately 1 to 2 inches from the bottom. Place the cut bottom in a bowl of water and put it in the window sill. Make sure you keep the water full as it will evaporate over time. After approximately one week the new celery stalks will begin growing from the center of the cut piece and roots will start below. After you get a good amount of growth simply place the new plant in the ground. It’s OK if you don’t have a yard or garden because it wont take too much soil to grow in a pot. Growing celery requires a good amount of water so if you live in a warm climate or your house or deck gets hot throughout the day make sure you keep the plant moist. As the stalks grow you can simply cut off a stock here and there and the rest of the plant will continue to grow. That’s what we do here at the Lakritz Family Farm. This entry was posted in Farming Education, Lakritz Family Farm, Plants, Sustainability, Urban Farming, Vegetables and tagged Education, Farm, Food, Garden, Home, Soil. Bookmark the permalink. 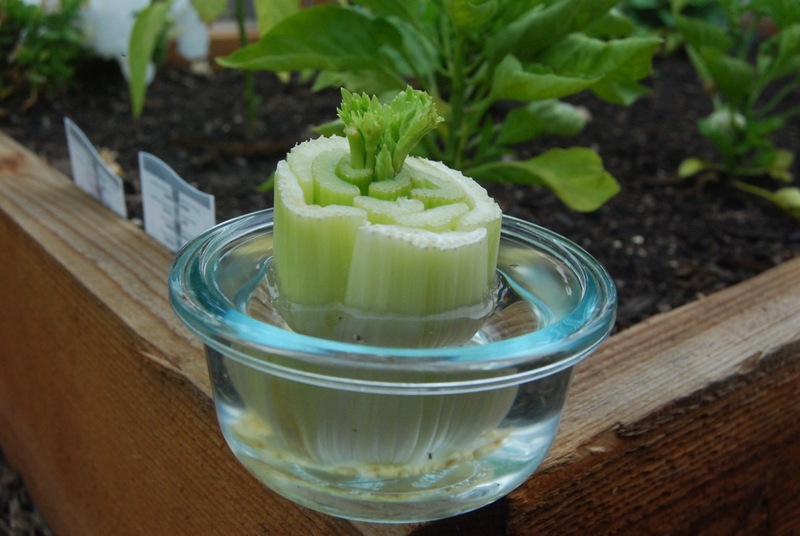 1 Response to Earth Day 2015 Fun With Celery!